The technology the 686 HydraStash® Reservoir Insulated Snowboard Jacket brings to the mountain is perfect for snowboarders looking for a jacket that blends performance and convenience. 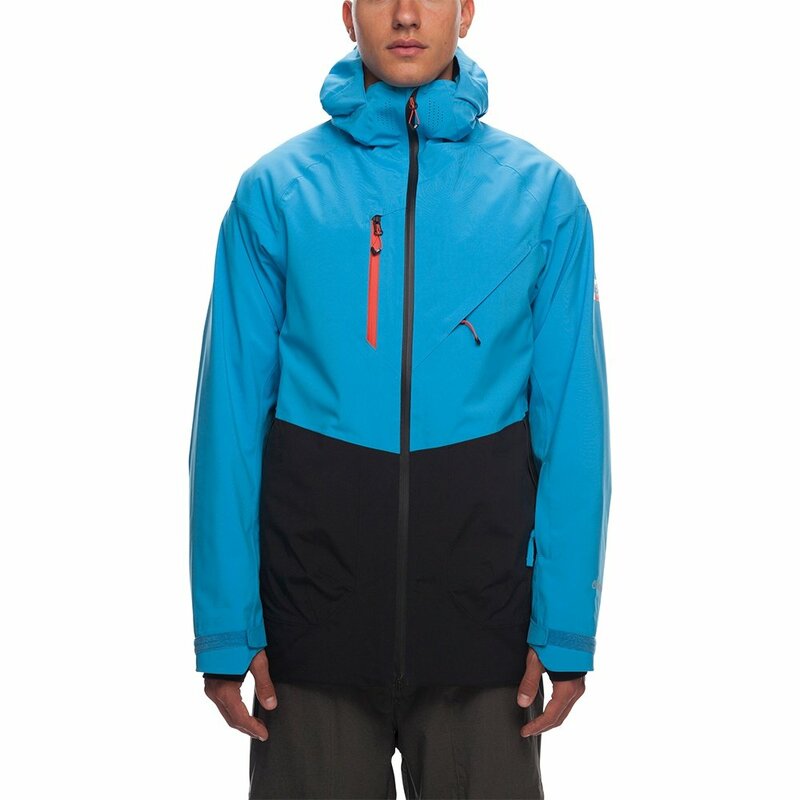 This men's snowboard jacket has a built-in water reservoir integrated into the jacket, with a valve conveniently attached near your mouth. Say goodbye to bulky backpacks that cause shoulder pain and throw off your balance - it's all in your jacket! Backcountry snowboarders especially will love the HydraStash® Reservoir Insulated Jacket's 20K waterproofing rating (the highest on the market) and the 80g of core insulation for cold winter days. Built-in hydration system that won’t freeze in cold weather. This completely waterproof jacket keeps you dry for all-day comfort on the mountain. This jacket is loaded up with features like side vents, adjustable cuffs, a powder skirt and tons of pockets.